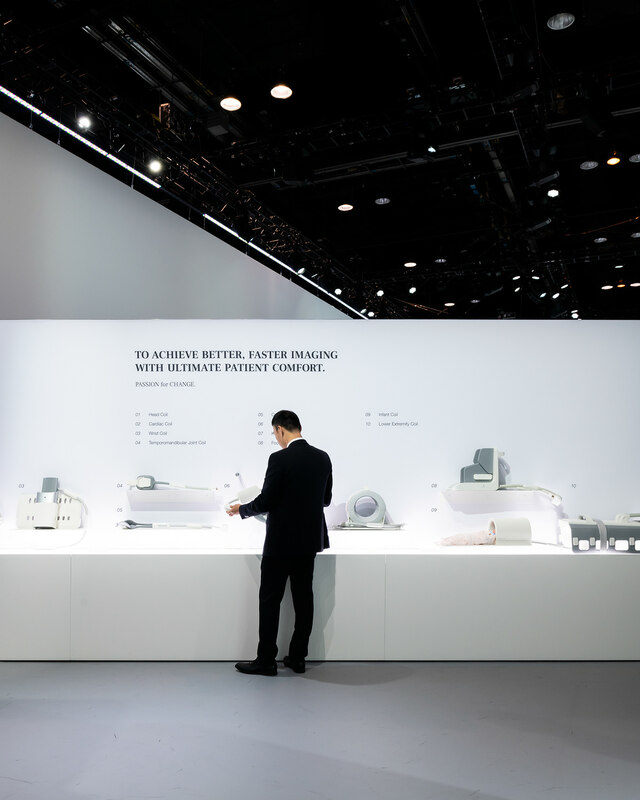 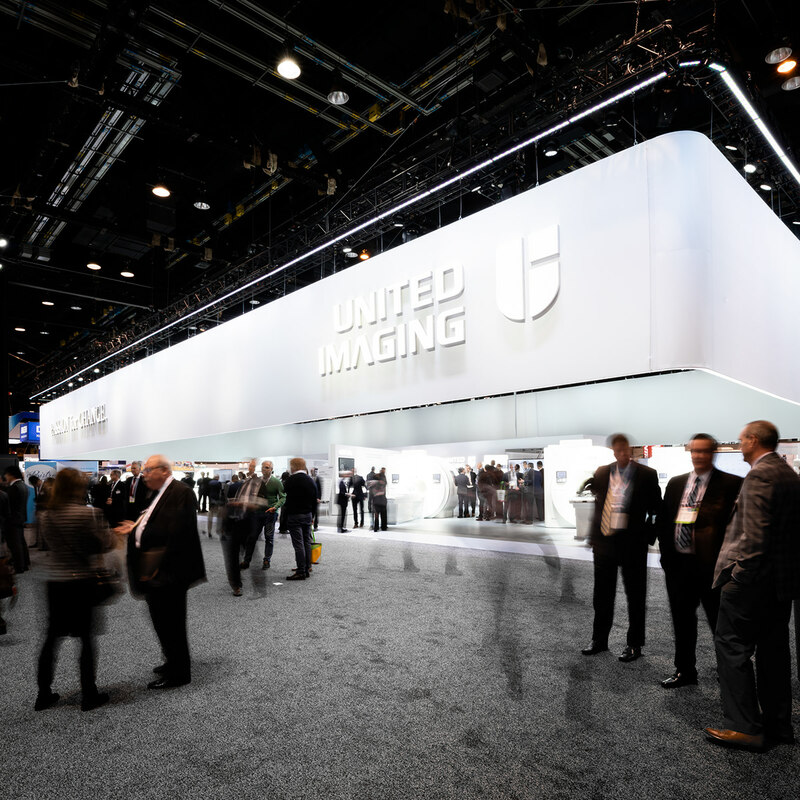 The UIH RSNA booth designed by HALLUCINATE for United Imaging (UIH) was completed in November 2018 at the McCormick Place Convention Center in Chicago, US. 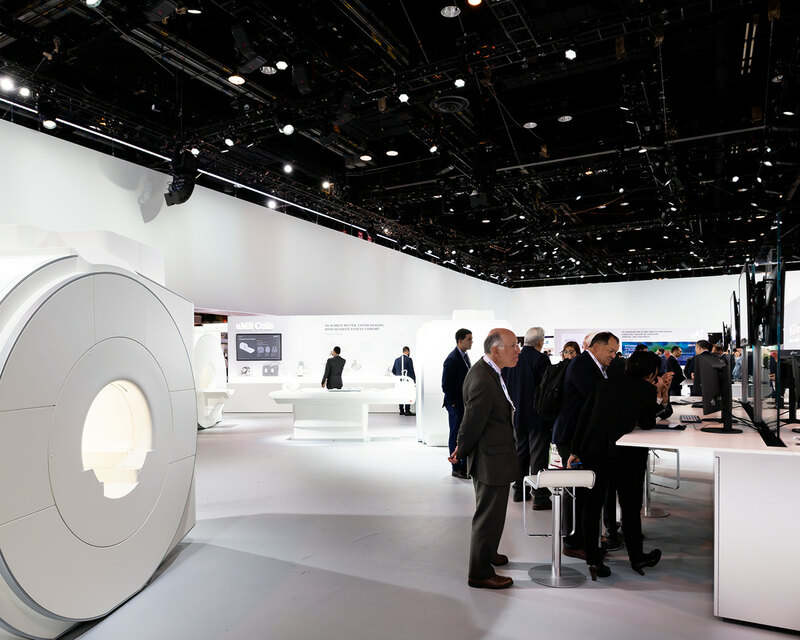 RSNA annual meeting is the largest and most representative global medical conference focusing on industry development trend in radiology. 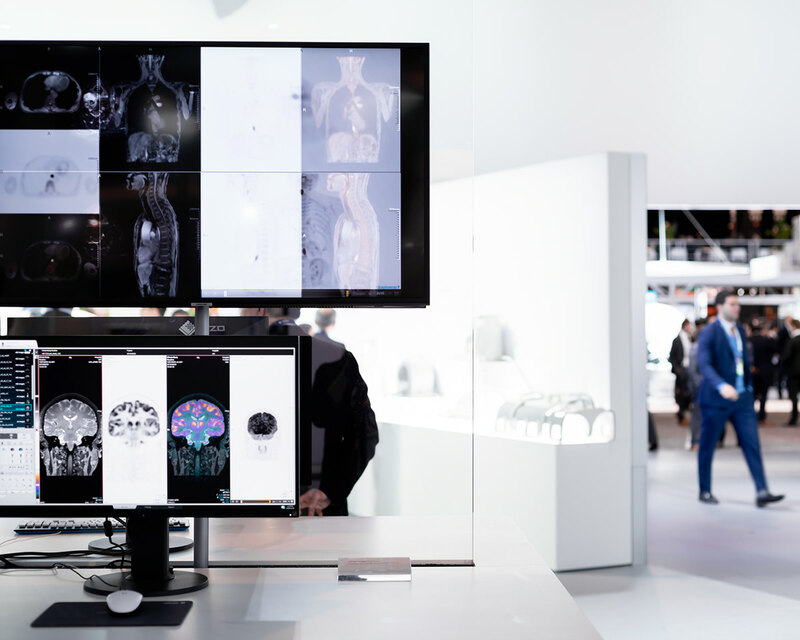 It brings together cutting-edge academic achievements from the top global radiology experts and high-end equipment from the top medical device manufacturers. 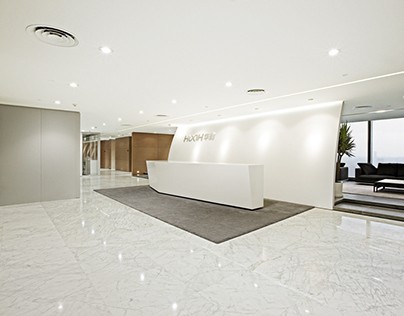 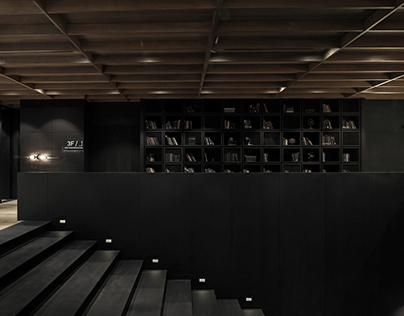 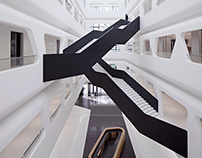 After the project was launched, HALLUCINATE had very limited time for design and construction. 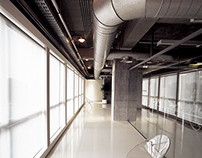 Innovative experiments and quick thinking were encouraged so as to complete the project within a short time. 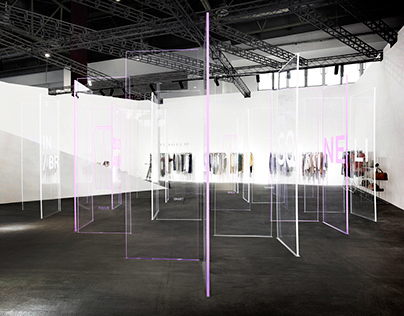 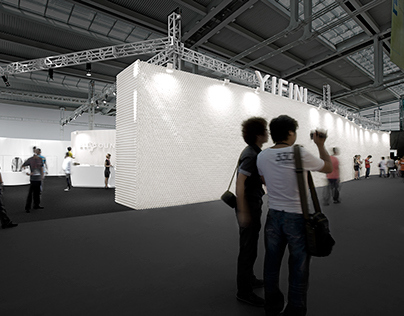 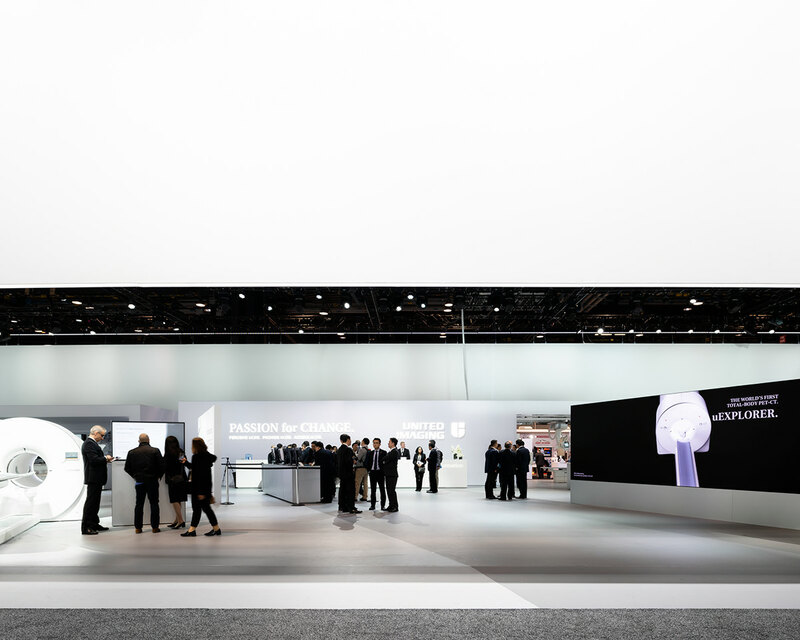 The key was to draw the attention from the audience and make the booth easy to construct. 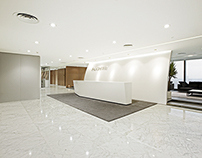 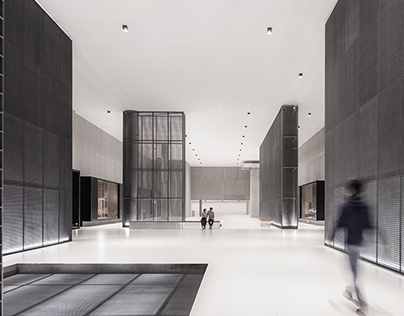 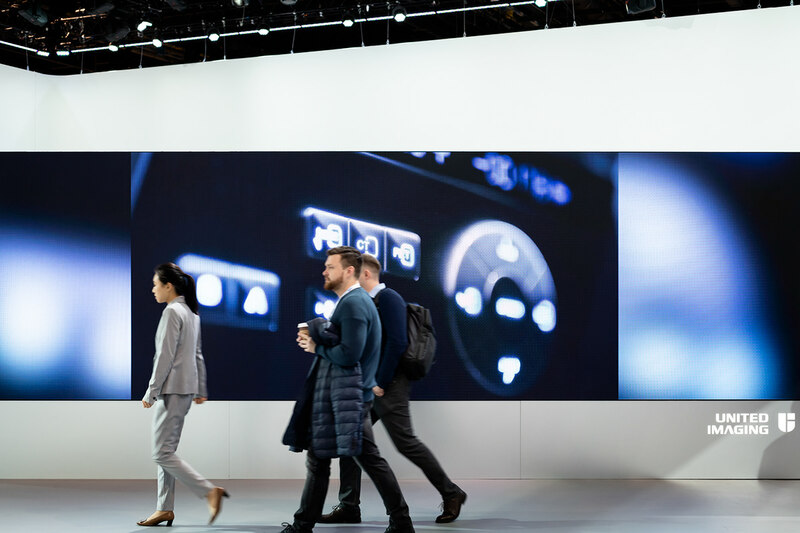 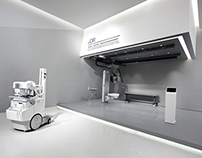 To create an in-door booth with a flexible design and competitive advantage, a number of core elements were added including a large suspended ceiling, asymmetric space design, box-shaped floor standing touch screens, metal-finishing AI worktables, and diverse audience flow lines. 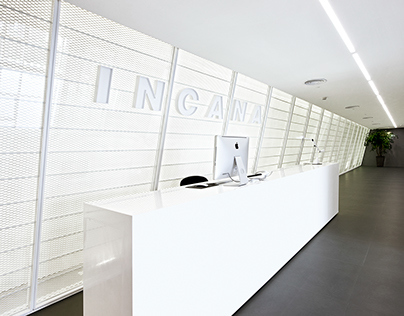 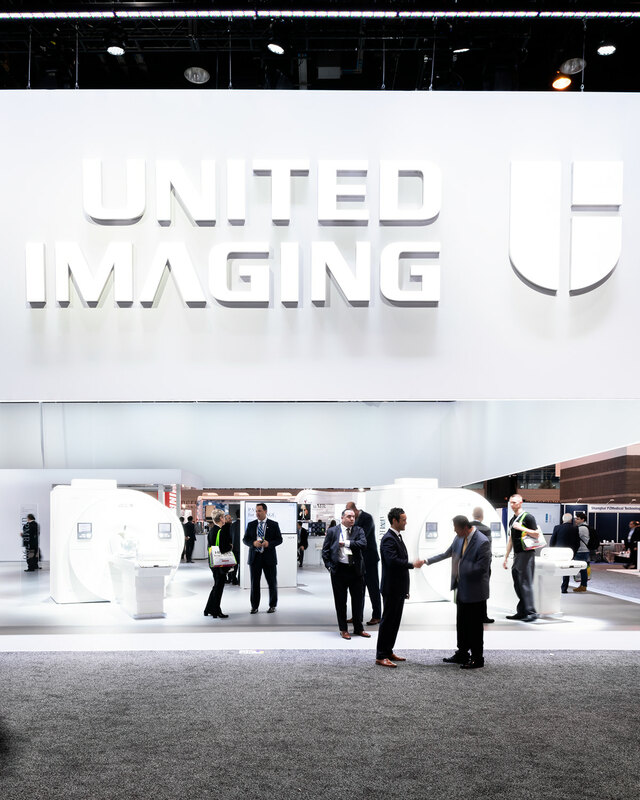 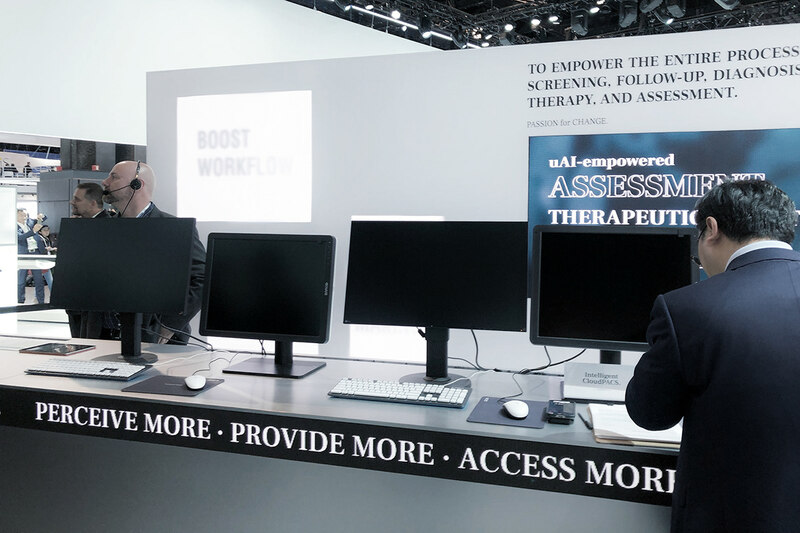 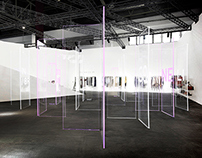 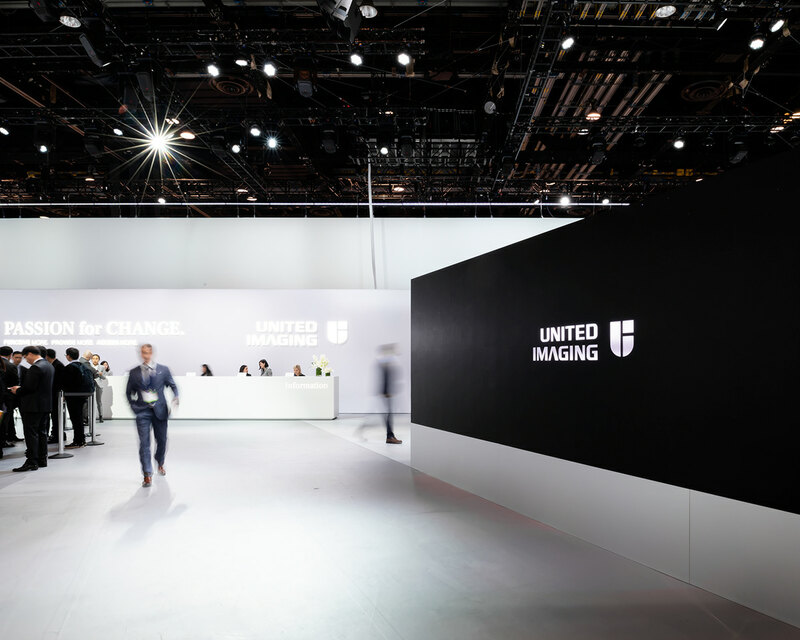 The UIH RSNA booth designed by HALLUCINATE for United Imaging (UIH) was completed in the United States in November 2018.